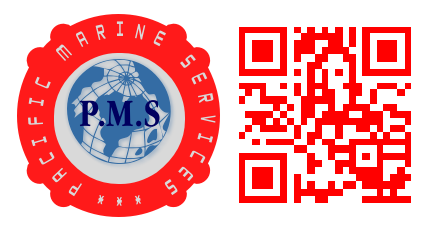 All safety and radio equipment installed on any ship registered with PMS Class must be maintained by ship crew and serviced periodically by marine service providers those are keeping the approval certifications issued by the classification society as appropriate, moreover any changes in these installed equipment may permitted by the class only, and in all cases if the replacement is required, only IMO type approved equipment is accepted. Any alteration or modification desired by owners or required in compliance to the new IMO mandatory requirements may be permitted by PMS Class after submission of new design documentation prepared by an approved ship designer. Steel renewal has to be done under class supervision based on thickness measurement reports prepared by an approved ultrasonic measuring company, the new fabricated steel has to be approved by the class and carried out by certified welders only. Cargo gears, lifting appliances & release gears are to be inspected and tested by certified surveyors only to meet the requirements of the society, IMO, ILO & makers. In water survey in lieu of dry-dock survey may be considered by the society based on ship type and history subject to carrying out the survey by an approved company.